HAYS, Kan. -- Online bachelor's degree programs from Fort Hays State University are ranked 15th in the nation and No. 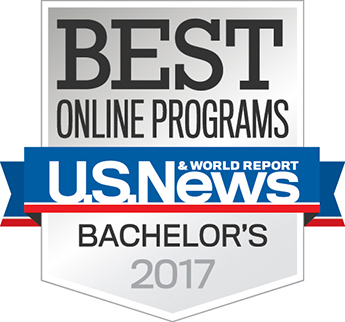 1 in Kansas in the 2017 Best Online education programs from U.S. News and World Report. The U.S. News and World Report listing was released early this morning. This is the sixth year that U.S. News has ranked online programs. Fort Hays State offers educational opportunities in four of the eight types of programs included in the U.S. News list. FHSU's Virtual College has made the top 100 in each of the six years. In addition to bachelor's programs, FHSU's graduate nursing program was No. 29 nationally; graduate programs in education were at No. 77, and MBA programs were at No. 100. "US News examines multiple factors for the offering of online bachelor's and master's degree programs," said Dr. Lorie Cook-Benjamin, interim executive director of faculty affairs and the Virtual College. "It is because of the quality of our delivery, affordability, and the support offered to our students that all the FHSU Virtual College programs covered in the U.S. News list ranked within the top 100." "The continued growth in our rankings is truly a testament to the effort that our faculty put into working and building relationships with our online students to help them succeed in their courses," said Dr. Graham Glynn, vice president for academic affairs and provost.  The other four programs in the U.S. News list that are not offered by the FHSU Virtual College are graduate business, non-MBA; graduate engineering; graduate criminal justice; and graduate computer information technology. The four programs offered by Fort Hays State are among a total of 51 degree programs offered through the FHSU Virtual College -- 31 undergraduate, 16 master's, one doctorate, one specialist and two associate degrees. Many emphases are available across the range of programs. Graduate nursing programs were evaluated on the basis of faculty credentials and training, 25 percent; student engagement, 20 percent; admissions selectivity, 20 percent; peer reputation, 20 percent; and student services and technology, 15 percent. Distance education at Fort Hays State began out of necessity in 1911 when faculty voted to offer correspondence courses free so that one-room school teachers across western Kansas could afford to gain the education required to teach. The Correspondence Department created then evolved continuously with changing technology and culture until, in 1997, the Department of Continuing Education and Instructional Technology became the FHSU Virtual College.